A number of Quark expeditions, including those in Greenland and Canada’s High Arctic, provide an opportunity to spend time in the cozy and friendly town of Kangerlussuaq. Offering easy access to the Greenland Ice Cap, Kangerlussuaq provides a relaxing landscape of breathtaking scenery, over 300 days of clear sky every year, and a stunning start or finale to any Greenland cruise. If you are looking for ways to make the most of your layover, here are 10 things to do in Kangerlussuaq. 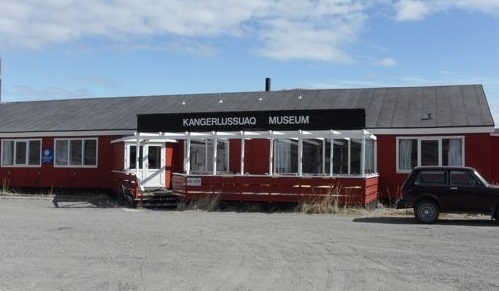 If you only have a few hours to spare, a hugely popular way to spend those hours is to visit Kangerlussuaq Museum. History and aviation buffs especially will appreciate artifacts from the World War II era, as well as memorabilia from Greenland and Denmark’s history. Located in what was originally a Second World War American air base, many of the rooms in this unique museum remain in their original state. You could make the most of your visit to Kangerlussuaq with an Arctic Circle day tour. One company specializing in these tours, World of Greenland, provides expert guidance for hiking Tacan Mountain and Garnet Rock, exploring Greenland’s Ice Cap, and experiencing the Northern Lights. There are also overnight tours available with stays in eclectic polar lodges. This Kangerlussuaq touring company began with just one tour guide, but now works with a number of film producers, scientists, and photographers. For the brave and adventurous, Arctic Caving Adventure provides glacier hiking, ice climbing, and three-day expedition trips to the Ice Cap, which includes camping on ice and sleeping on glaciers. 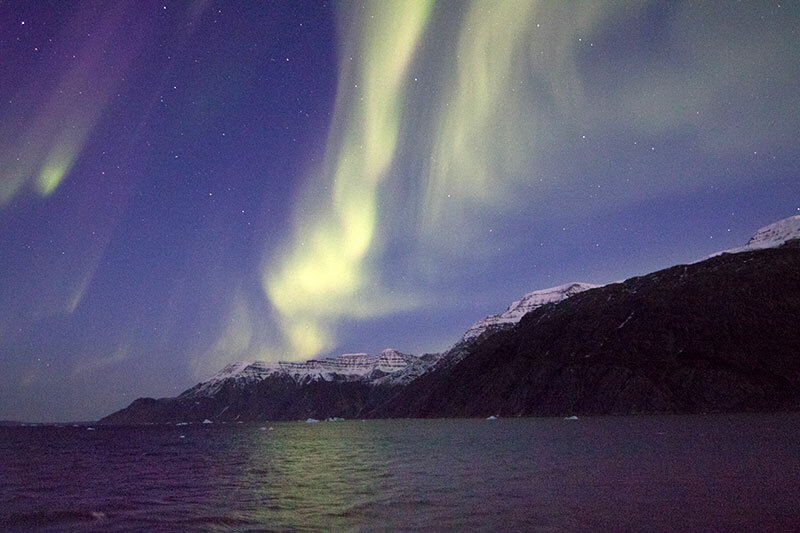 You don’t necessarily have to go anywhere in Kangerlussuaq for a Greenland Northern Lights tour. During long, cool nights, the area is well known for providing a perfect view of the green, purple, and red lights in the sky. The Greenland Ice Cap and colorful houses found only in Kangerlussuaq are said to add to this view, providing a free and beautiful experience to anyone spending time in the evening air. One of the most popular modes of transportation in Kangerlussuaq is by sea kayak, as its various lakes provide the perfect setting for experiencing the fjord’s scenery. 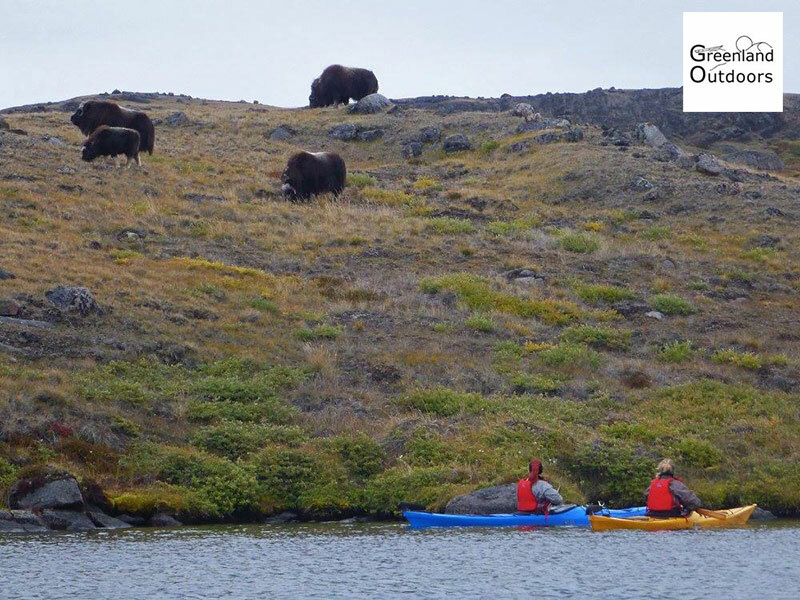 Although the kayak’s history as a hunting tool reaches as far back as 4,000 years, kayaking also provides a chance to experience wildlife and birdlife along with the natural beauty of Kangerlussuaq, as intimately as possible. You can choose to visit the Greenland Ice Cap as part of various tours, or opt to explore this popular destination on your own. Also known as the Greenland Ice Sheet, it was once inaccessible, but through the years has become easier to reach. If on your own, it’s recommended you be aware of river rapids and jagged ice, as well as the cold and wind. Although considered a daring adventure, it is a “must-see” Kangerlussuaq destination. Part of Kangerlussuaq’s beauty is its comfortable remoteness, but because it is home to just over 500 residents, there are fewer restaurants and activities than in large metropolitans.  If you’re looking to dine on local cuisine, Restaurant Roklubben is highly rated. This restaurant provides a menu of fresh local and seasonal cuisine, including scallops, musk ox, and reindeer. While visiting Kangerlussuaq, take a dog sledding trip. Driver and dogs carry you across the fjord’s ice, for a truly authentic experience. Generally, packages include warm seal clothing and polar boots for renting. 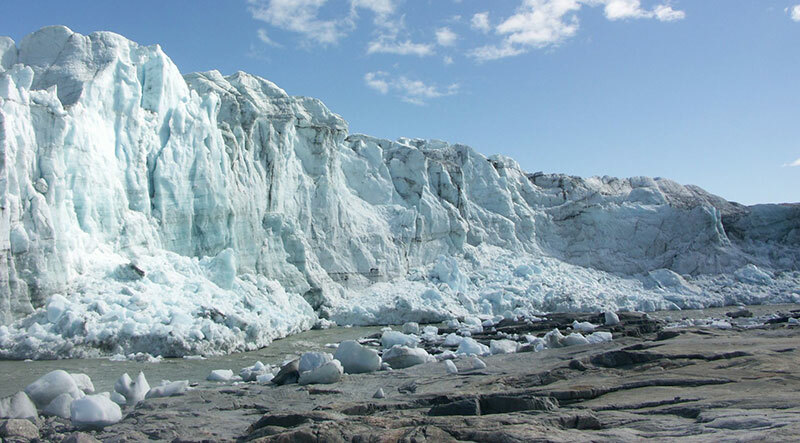 While the Greenland Ice Cap receives most of the area’s attention, Russell Glacier’s 60 meter high ice walls are equally impressive, and a “must-see” in Kangerlussuaq. Here you have opportunities to take photos, and you might even spot musk oxen or ptarmigan, or see the glacier calve. To experience the beauty of Greenland from a different perspective, take a sightseeing flight. Tours include a flight through the Sandflugtdalen valley, and past the Sugar Loaf mountain island. You can also view Russell and Leverett glaciers from atop, as well as the Greenland Ice Cap, Garnet Mountain, and various cliffs. This trip also provides an opportunity to see musk oxen and other Kangerlussuaq wildlife. Contact an experienced Polar Travel Adviser to learn more about what to do in Kangerlussuaq, Greenland and the different activities available, whether you choose to spend an extra night, or even a week!